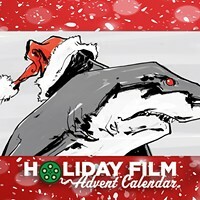 In the spirit of the holiday season, Pittsburgh City Paper presents a holiday movie advent calendar. One holiday movie review, every day 'til Christmas (probably). Daddy’s Home 2 was the first Christmas movie I watched so far that wasn’t awful. That's probably because it’s a comedy sequel with a Christmas spin – and no, you don’t have to see the first one to follow along. Brad (Will Ferrell) is the step-father of Dusty's (Mark Wahlberg) two children with Sara (Linda Cardellini). At their daughter Megan’s (Scarlett Estevez) holiday play, she reads a poem to the audience. Because kids are brutally honest, she says in front of the entire school she hates having to travel back and forth to both parents’ houses, especially during the holidays. Feeling bad, Brad, Dusty, and Sara decided to have a “together Christmas” this year. Daddy’s Home 2 is a comedy, set around Christmas, filled with Ferrell and Wahlberg’s signature uncomfortable, awkwardly funny acting. Unfortunately, it also stars Mel Gibson. Fortunately, it also stars John Lithgow. For comedy sequels, it works. The Christmas theme allows them to effortlessly bring the whole family together, without questioning the storyline. When else does the family from such different backgrounds all convene? It’s a classic case of what happens when woefully mismatched family members spend time together, to be retold in different ways over and over.